If you work as a party planner or event planner, then you know how important it is to have beautiful invitations. 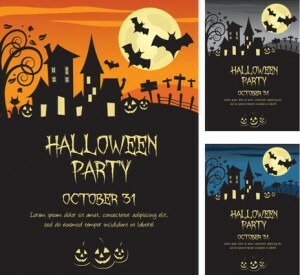 Whether you’re planning a spooky Halloween party or you have another special event coming up in the next few months, the time has come to create the best possible invitations. Here’s how. The type of wording you use on the event invitation depends on the event itself. What is it for? No matter what the event is for, you need to include a greeting, then language extending the actual invitation. You’ll also need to include pertinent details such as the date, time, location, and venue. This is especially important if the event is held in the woods or the local state park and you want to specify a particular area for your guests to congregate in. It’s also important to include directions and any special requests (such as toys or canned goods) if the event is tied to a charity benefit for the holidays. In all honesty, a simple event invitation gets to the point. All of the above requirements are spelled out plainly so that there is no confusion. Graphic design can go a long way in boosting the wording on an invitation. You don’t want it to look too boring, but you also don’t want to overwhelm your intended audience or recipient. For formal event invitations, the requirements are somewhat different. You still need to include all of the information touched on above, but numbers are written out as their associated words. Also, these invitations use a much more formal tone than the simple invitation or the more relaxed invitations would. Formal invitations also tend to include even more details about what the event itself entails. For instance, a funeral invitation would be much different than one for a wedding. Although spring and summer are the peaks of wedding season, weddings can and do happy throughout the year. Depending on the venue and occasion of the wedding, the invitations can either be buttoned up or laid back. If you are hosting a party for friends and family, however, you can let loose with inside jokes and a tone that may seem rude to outsiders but is perfectly normal and even amusing to you. Whether you know already how your event materials should look or you want further advice, Time Printers is here to help. We service all of Baltimore, Hunt Valley, and Towson. Our team of professionals can tackle all of your questions. Give us a call at 410-566-3005 and be sure to follow us on Facebook, Twitter, Google+, Pinterest, and LinkedIn for tips and to see what we have been working on and what we can do for you. This entry was posted on Friday, October 19th, 2018 at 3:09 pm	and is filed under Event Materials in Baltimore. You can follow any responses to this entry through the RSS 2.0 feed. Both comments and pings are currently closed.